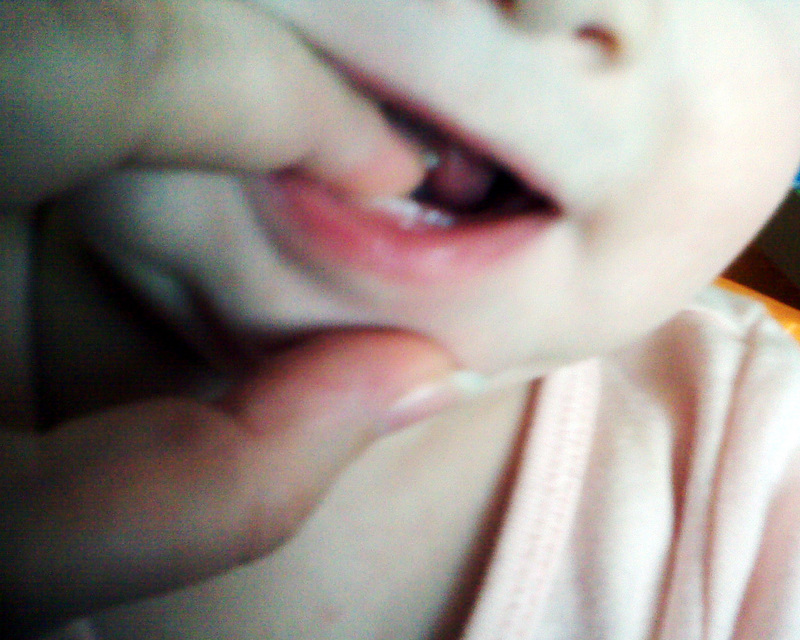 Kaygan has TWO little chompers in there! She had two shots this morning as well. One in each thigh. Thankfully, Bobby cuddled her during the shots. Kaygan and I both only cried for a minute! It's been almost 7 hours and no yucky side effects yet! Not sure when they usually show up, but so far so good! She didn't get 'the usual' shots though. Just a second Hep B dose and Previra, which prevents pneumonia. She'll start her other shots in two weeks... not looking forward to those either! I took Kaygan outside today and put her in the grass for her 4 month session. She lasted for all of 3 minutes before she had a fit, but I think I managed to get a few cute ones! Apparently she and Marli found something interesting in the grass! And then she was done! Kaygan's Godmother M'Leigh came to visit on her way to my cousin Amy's graduation. So, Kaygan got to spend a few hours with her! I think they had a good time! At the beginning of June, I met up with three other mommies who've had miscarriages and now have (or will soon have) babies. It was the first time I've met them, though we've been friends online for over a year now! It was SO great to finally get some face time with them, and meet their little ones! So, this is Zachary, he's a few months older than Kaygan. This is all three of the babies, and one of the daughters of Lynn, who was about 30 weeks pregnant at our get together. AND the babies with her other daughter, Mikayla. Evelyn, who was almost 11 months at this time! And Kaygan... pretty dazed and tired by this point in the day it seems! Here we all are as we're leaving the park! Mandy loved 'protecting' Kaygan. She's gonna be a great big sister! Totally had a blast! Can't wait to meet up with my bump friends again soon!